Our innovation, quality, integrity and experience have earned us an impeccable reputation in the field of independent Pharmacy. PRS executives maintain close ties with many of the most influential individuals in the Pharmacy industry. Key decision makers in the top Pharmacy organizations and businesses nationwide know us by name and trust our expertise. 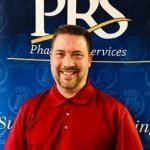 Check out the team that gives PRS such a great reputation, especially within the independent Pharmacy business. As President/CEO, Harry directs PRS’s overall vision. He is the national recipient of the 2010 Next Generation Pharmacist Award for Industry Advocate of the Year to honor Pharmacy professionals who are defining innovative Pharmacy practice. He oversaw the opening of PRS’s first overseas Pharmacy and has consulted on projects nationwide, in Eastern Europe and Asia. He is a highly-published author and sought after speaker on complex Pharmacy issues along with being a member of PQA’s Stakeholder Advisory Panel. He received his B.S. in Pharmacy from Ohio Northern University in 1982. As VP of Operations, Tim is responsible for the daily operations of PRS and its NASI affiliate. 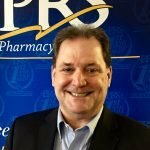 He has helped direct the establishment and management of hundreds of independent and supermarket Pharmacies nationwide and is a former Pharmacy owner. He directs the PRS innovative program design team and software development areas. Tim is also a member of PQA’s Stakeholder Advisory Panel. He has a B.S. in Pharmacy from the University of Pittsburgh School of Pharmacy. As VP of Pharmacy, Scott has overseen the transition & opening of hundreds of Pharmacies nationwide. 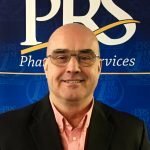 He heads the PRS brokerage services division of our organization and directs the creation of programs and products to help Pharmacies run smoothly and successfully. Under Scott’s direction, the PRS Staffing Division offers support to hospital, retail, nursing home and specialty Pharmacies in PA, OH, MD, WV, NJ, and DE. He also heads PRS’s international affiliate that exports FDA drugs and Pharmacy services. Scott received his B.S. 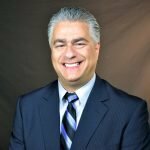 in Pharmacy from the Philadelphia College of Pharmacy and Science in 1980 and is certified in Immunization Delivery and as a Pharmacy Regulatory Specialist. 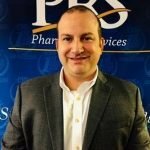 Josh specializes in all things compliance and is a Pharmacy industry “go to” expert when compliance issues arise, including both regulatory compliance and specialty areas. He has authored numerous articles and speaks on compliance issues nationwide along with being a member of PQA’s Stakeholder Advisory Panel and Measure Development Team. Josh researches, designs and writes PRS’s compliance and accreditation programs. Specializing in Ownership and Regulatory Compliance, John speaks on FWA, HIPAA and other regulatory issues for buying groups nationwide. He holds a B.A. in Liberal Arts with a Business concentration from St. Vincent College and an MBA from Duquesne University. Barry A. Bunting, Distinguished Scholar National Academy of Practice. 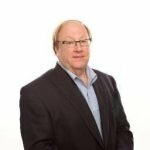 His qualifications include over 25 years of experience in large acute care health systems serving as a clinical Pharmacist, clinical Pharmacy manager, P & T Committee Chair, Health Plan Design Committee member and has extensive experience with large self-funded health plans, Third Party Administrators and Pharmacy Benefits Management companies. He has experience in grant writing and in Pharmacy network development. He is a founding ASHP Accredited ambulatory care Pharmacy residency director and also served for 10 years as a program director and project manager for a community Pharmacy based disease management program known as the “Asheville Project”. This nationally acclaimed program received the APhA Foundation Pinnacle Award which recognizes significant scientific contributions or quality improvement in health care. In 2017 Dr. Bunting started a clinical consulting business called PHM (Population Health Management) Consulting. In addition to consulting work with Pharmacy organizations, he is currently consulting with the government of India on a diabetes screening program for 5 million (BPL) Below Poverty Level citizens in Karnataka State, India, with a goal of expanding this screening program to the entire county of over 1 billion people. 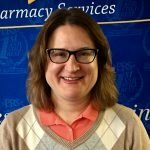 Amanda is the founder of Georgia Pharmacy Solutions and co-founder of Secure340B, which offers 340B Pharmacy assistance including data review to ensure compliance, dispensing fee evaluations, contract negotiations and program analyses showing financial impact with 340B. She also provides training and education to Pharmacy staff to develop best practices for an optimal 340B program. Amanda is a former 340B specialist with Macro Helix where she led the Contract Pharmacy team. She pioneered the implementation process as well as developed the training program and was heavily involved in brand awareness and national account management. 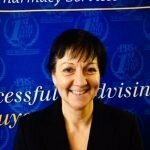 Currently she also serves as the Director of Clinical Services for the Georgia Pharmacy Association, Academy of Independent Pharmacy (AIP). She is a former member of the Board of Directors with the Georgia Pharmacy Association and served two terms as AEP Chairman (Academy of Employee Pharmacists). Amanda has a B.S. in Pharmacy from the University of Georgia College of Pharmacy. 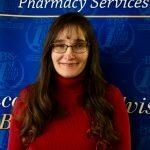 She is certified as a registered Pharmacist with the Georgia Board of Pharmacy along with medication therapy management, patient centered diabetes care and immunization delivery with the American Pharmacists Association. Liz Tiefenthaler is President of Pharm Fresh, a company whose focus is on providing marketing solutions to Independent Pharmacy. Liz helps Pharmacies build customer loyalty and engagement by offering marketing, pubic relations, print and online solutions. 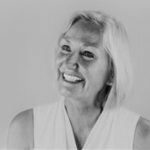 She has worked in marketing and advertising for over 25 years, the last eight in Pharmacy, and as an entrepreneur herself, understands the issues facing small and mid-sized businesses. Liz is a frequent speaker for the National Community Pharmacists Association, teaching beginning through advanced marketing courses. She also teaches numerous CE courses throughout the United States for state associations and buying groups. Liz was a featured speaker at the Ontario Pharmacist Association Business 2.0 event as well as the OPA 2012 Annual meeting in London, Ontario . Her writing appears in America’s Pharmacist magazine where she writes a regular marketing column. Liz resides in Madison, Wisconsin. She has a B.S. in Education from the University of Wisconsin, Madison and attends Brandworks University master’s level marketing course annually. She is a tireless supporter of Independent Pharmacy. Ollin is involved in all aspects of the business with a concentration in tax, business advisory services, and technology consulting for independent Pharmacies and their owners. He got his start as a CPA in 1973 and within a few years began working with independent Pharmacies. He became president of Sykes & Company, P.A. in 1985 when his previous firm split into two. Ollin has a B.S. in Business Administration degree with a concentration in accounting from Mars Hill College in 1972. He received his Certified Public Accountant’s certification in August 1975. He also received his Certified Management Accountant Certification under the Institute of Certified Management Accountants of the National Association of Accountants in April 1980. Ollin is a member of the National Association of Accountants, North Carolina Association of Certified Public Accountants, the American Institute of Certified Public Accountants and the National Community Pharmacists Association. 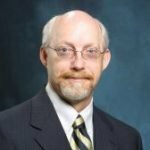 He has served as president of the Albemarle Outer Banks Chapter of the North Carolina Association of Certified Public Accountants. Kelly holds an M.D. from UAMS and did her residency at Vanderbilt where she focused primarily on working with high risk adult and pediatric patients with chronic diseases. She is PRS’s expert for helping to customize transitions of care programs to align with the needs of the patient, their caregivers and providers, which includes the expertise and engagement of their Pharmacist. Areas of interest and expertise include Grant Administration, Specialty Areas, Regulatory Compliance in addition to helping align PRS’s Pharmacy programs with the Affordable Care Act, CDC (Immunization and chronic disease initiatives), and MACRA. She helps to raise awareness for the needs of Rural America and advocates for more “culturally and linguistically” appropriate educational material to help with improving Health Literacy in patients engaging with “self-management programs for chronic diseases”. She is active in helping to raise awareness for the value that Pharmacists provide in patient care and the need for ALL Pharmacists to have access to their patient’s EMR, allowing for bi-directional sharing of patient healthcare information. Kelly currently represents PRS on Pharmacy Quality Alliance (PQA) Immunization Task Force and previous years included Measure Development Teams looking at medication related quality measures and quality improvement indicators. In 2017, she began volunteering for one of the National Quality Forum (NQF) Measure Incubator Learning Collaborative workgroups (Partnerships and Collaborations), where she continues to comment on the value of Pharmacists in healthcare along with their ideal position and ability to help with the collection and reporting of quality measures including patient reported outcomes. Jackie joined PRS as a Pharmacy staffing recruiter in 2001 and has grown into her current position as an Account Executive. She says, “My coworkers often say I am too enthusiastic about my work; they sometimes have to quiet me down.” Her strengths are creativity, a positive attitude, adaptability, and the ability to work well in all environments. Before she joined the PRS team, Deb was a Quality Assurance Manager/Supervisor for a Market Research Company for 12 years. Deb joined PRS as an Accreditation Specialist in 2009 and has since moved into her current position as an Account Executive and Operations Administrator. Deb provides customer service & support, sales support, performs Phase 1 evaluations as well as qualify potential Pharmacy buyers and sellers. She is actively involved in Christian ministries. Prior to her employment with PRS, Amy worked for CVS Health for 6 years as an inside sales and recovery specialist. She joined PRS in April 2018 as an Account Executive in sales and assists potential buyers in finding independent Pharmacies for sale. Amy loves talking to people and being able to help customers. Ann has a Bachelor of Arts in English Writing with a minor in PolySci from The University of Pittsburgh at Greensburg. Her background includes working as a Litigation Assistant and a Document Production Monitor for outside Council in conjunction with Document Coding and Retention. Becky provides customer service for over 300 independent Pharmacists, helping them understand and implement professional and business standards for accreditation in the Durable Medical Equipment field. Becky is on the Corrective Action team and helps construct the Corrective Action Plans for Pharmacies that need to provide further information to ABC after the Accreditation survey takes place. She also helps create the policy and procedures for the PRS compliance programs and fields clients’ questions. Becky has a Bachelor of Science degree in Management from Penn State University. Kim covers both sales and customer service for all PRS compliance products and is also the NASI DME Accreditation Specialist for Pharmacy chains. She came to PRS after a career in Corporate Travel at Deere & Company headquarters in Moline, IL. She’s a graduate of ICM with an Associate’s degree in Business Administration. Cindy assists her clients with becoming accredited through the American Board for Certification in Orthotics, Prosthetics and Pedorthics and coordinates Corrective Action Plans for all NASI accounts when needed. She also has a working knowledge of the requirements for providing therapeutic shoes. Cindy has a deep background rooted in customer service and enjoys helping her customers. 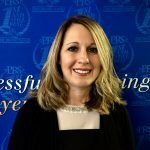 Krista functions as a client liaison for PRS products and services and assists with the development of compliance program content. 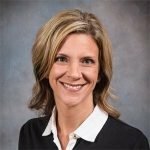 Krista holds a Bachelor of Arts in Communication from the University of Pittsburgh and began her professional career at Philips Respironics, serving as a product specialist in both their homecare and hospital divisions. Pharmacy Staffing Liaison. Scheduling Point of Contact. Rhonda ensures that our staff Pharmacists’ skills/experience are a good match for our Pharmacy staffing clients. Coordinates efforts between staffing sales and recruiting to ensure that our Pharmacists have the work schedules that they want and our clients have the qualified personnel that they need to fill their staffing needs. As the Director of Marketing and Strategic Alliances Linda is responsible for overseeing all marketing creation, ad design and placement, website content creation, trade show attendance and marketing and strategic marketing and endorsement alliances with all PRS partners. Linda has over 20 years experience in marketing and sales with a specific emphasis on digital marketing. She has a portfolio of hundreds of clients throughout the U.S. in many different industries. She currently volunteers as the marketing director for a local classical ballet company out of Johnstown, PA where she lives with her husband and two children. Linda has a BSC in Psychology from the University of Calgary in Calgary, AB Canada. Software Engineer, Programmer and Designer with over 20 years of experience in programming and IT. He specializes in designing custom software architecture and interfaces, databases, applications, and web sites creating technological solutions for pharmacies. He is the chief designer of the software platforms on which PRS programs reside and operate while serving thousands of clients simultaneously. Systems Specialist, Regulatory Compliance, Web Designer who incorporates innovative technology into PRS operations and products. Doug is the one who brings our technology together and allows us to communicate with a multitude of client systems, both nationwide and internationally. He holds a B.S. in Computer Science from Point Park University as well as a Masters in Information Science with a concentration in Cybersecurity and Information Assurance from Penn State.